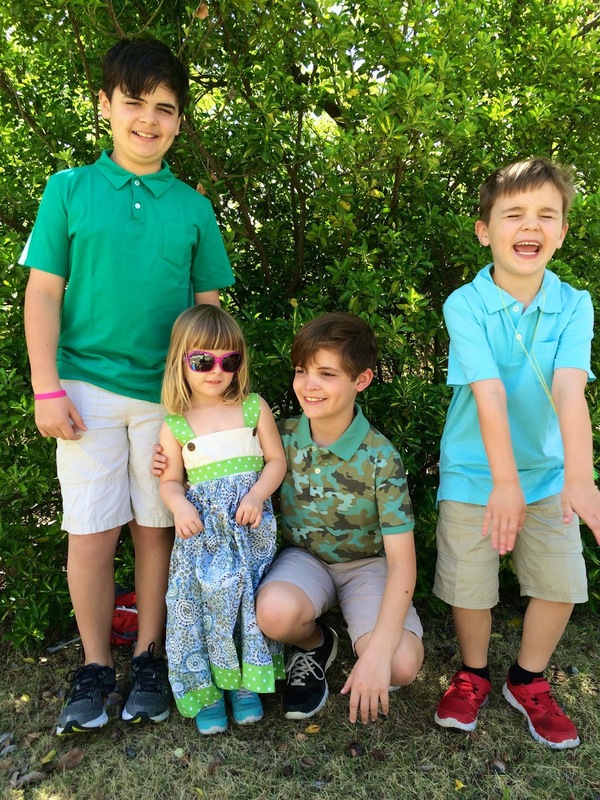 I thought it would be a nice gesture on my part if I went ahead and shared Easter pictures with you prior to the 4th of July. 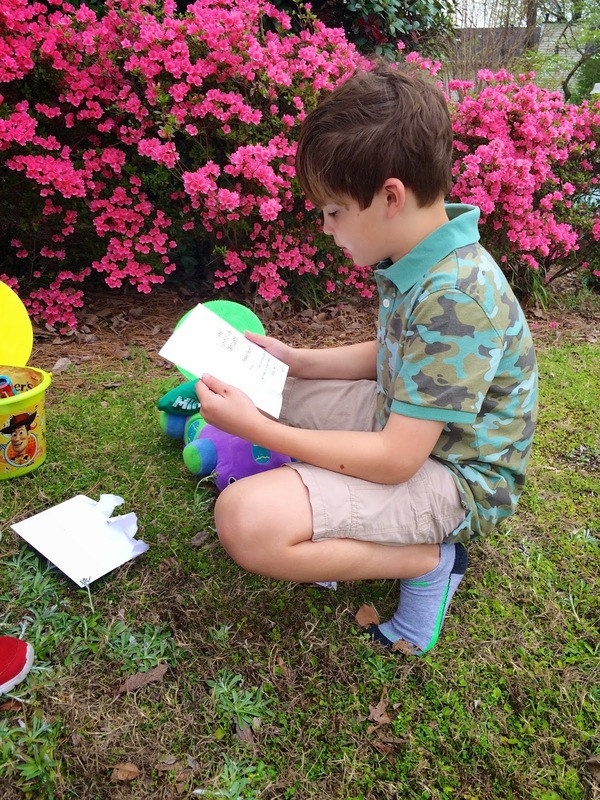 In Alabama, you never know what kind of weather you're going to get on Easter ... it can be sweater and cords weather, or it can be T-shirt and shorts weather. This year it was the latter. We lucked out that what I'd bought for them ended up being comfortable for the day. Amelia had never worn a dress that hit her that long in the stride before, and I thought it might bother her ... SILLY ME. 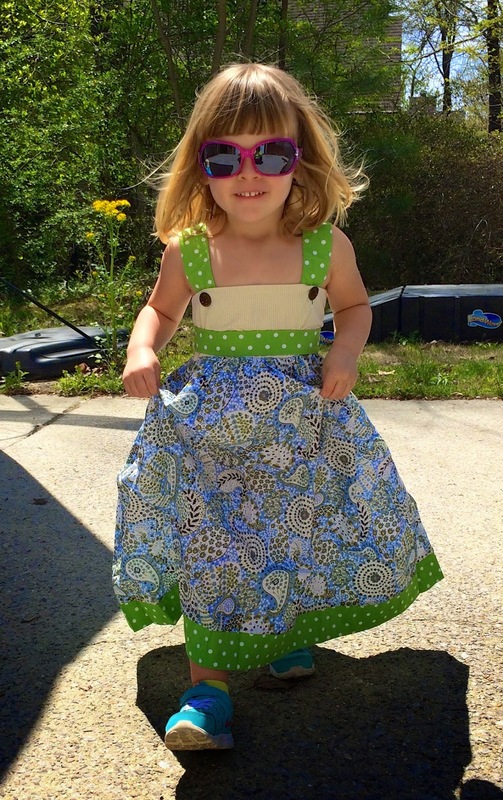 She said, "I DO MY PRINCESS WALK." And she proceeded to pick up her skirt and prance all over the place. My cousin Allison was sweet to host our family for lunch, and afterward I caught a sweet moment between her daughter Anna and Amelia in the basement, where they were playing with a barnyard animal set. Oh, and their beautiful dog Katie was keeping them company! 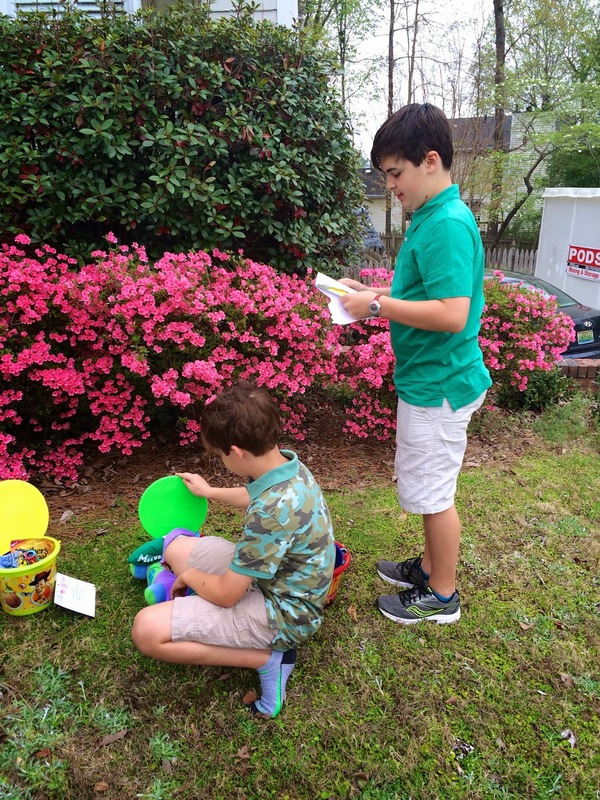 When we got home that afternoon, I set out the kids' Easter baskets. I picked up everything in them from Target's Dollar Spot. 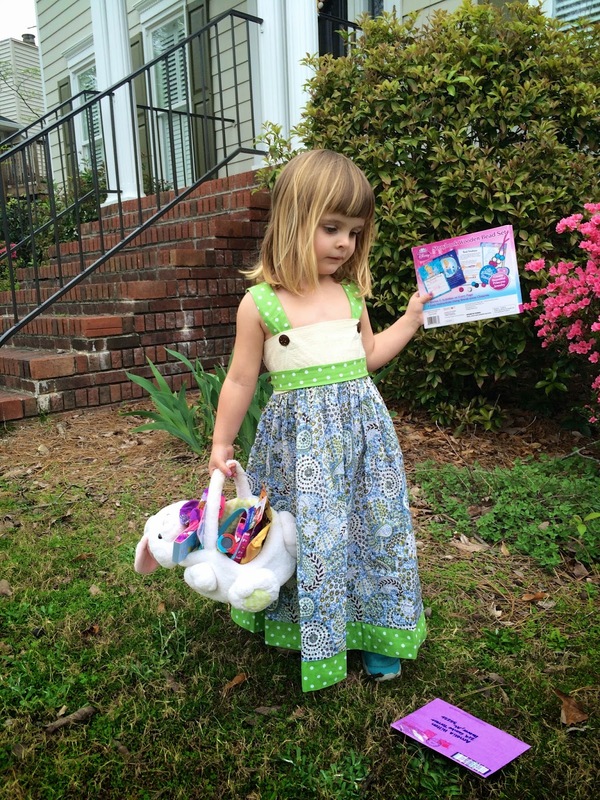 For Amelia, a Cinderella wooden bead set to make necklaces, a set of glow-in-the-dark necklaces, Frozen hair ties, Frozen hairbands, Sofia the First socks, and Werther's Originals candies. 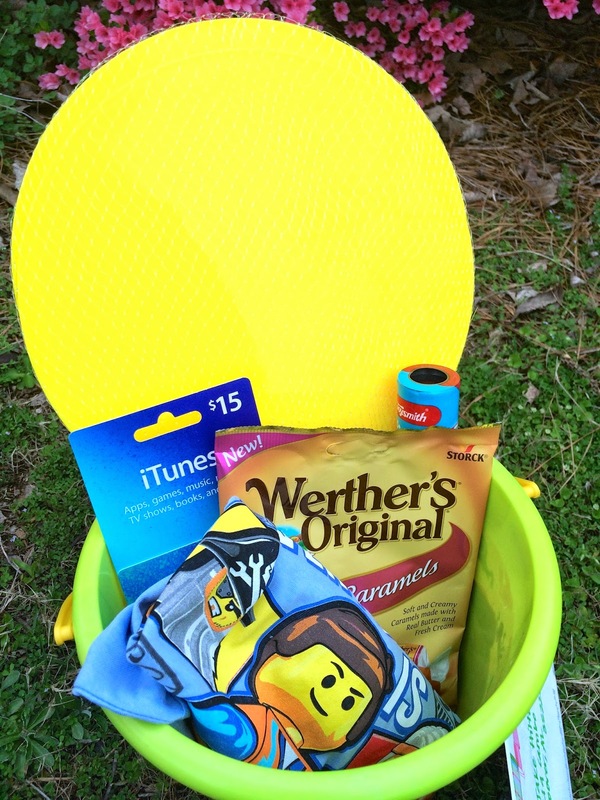 For Jake, a paddleball set, a glow-in-the-dark necklace set, a LEGO T-shirt, Werther's Originals candies, and an iTunes gift card. 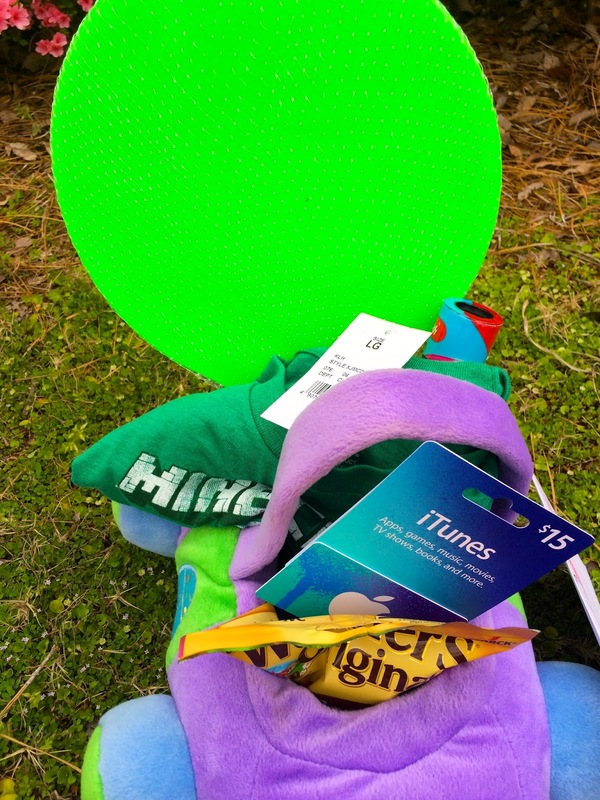 For Nick, a paddleball set, a glow-in-the-dark necklace set, a Minecraft T-shirt, Werther's Originals candies, and an iTunes gift card. 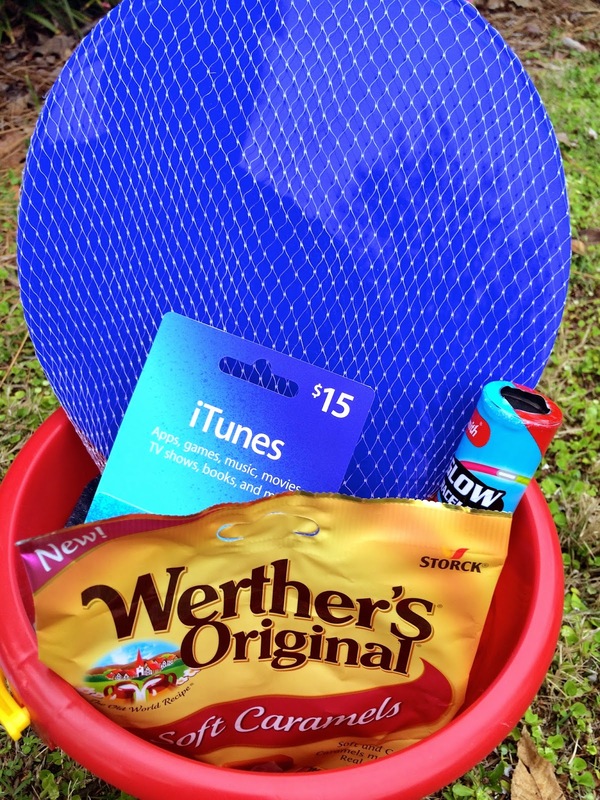 For Nathaniel, a paddleball set, a glow-in-the-dark necklace set, a blue athletic T-shirt, Werther's Originals candies, and an iTunes gift card. FEEL FREE TO PIN THOSE BASKET IMAGES. They all dug through their baskets, acted appropriately underwhelmed, I lectured them on thankfulness, they dutifully thanked us, and we all trooped back inside to "enjoy" the rest of our afternoon. THAT'S THE WAY EVERYONE DOES IT, RIGHT?